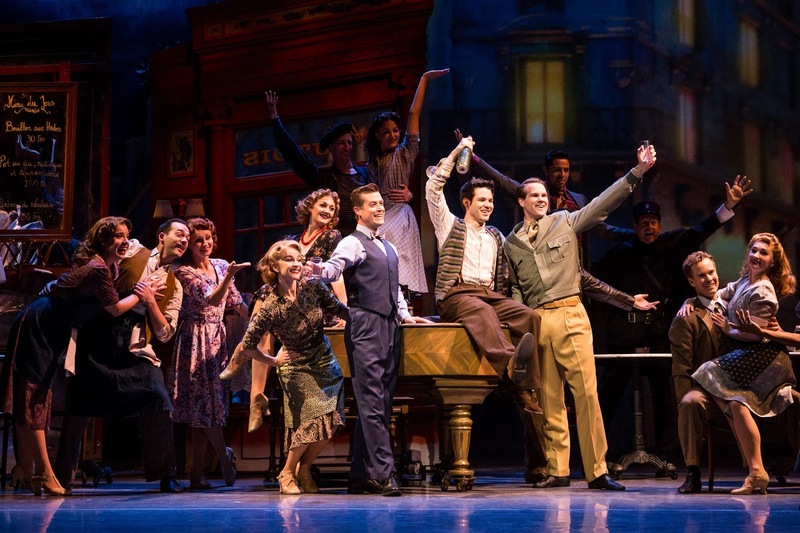 An American in Paris touring company. Photo by Matthew Murphy. 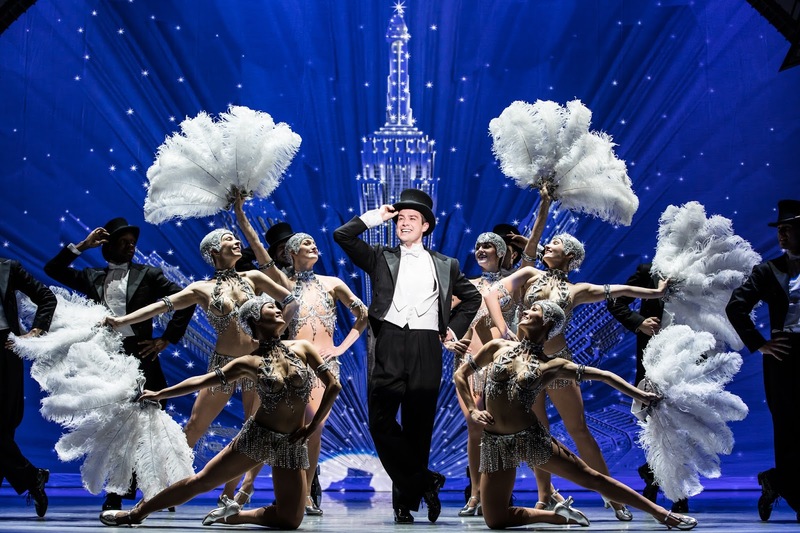 I wasn't really sure what to expect from this week's touring production of An American in Paris at Kansas City's Starlight Theatre. I hadn't heard the original cast recording and I missed the Tony's the year the production won four awards. So I was very excited to see what this show was all about! 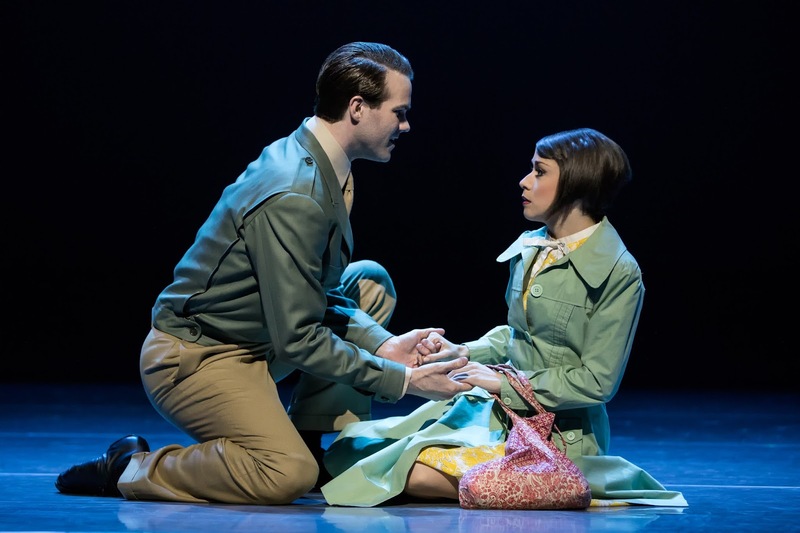 McGee Maddox and Sara Esty in An American in Paris. Photo by Matthew Murphy. Set in Paris in the late 1940's (just after the end of WWII), An American in Paris follows the story of an American soldier, Jerry Mulligan, and the lovely yet elusive ballerina he falls for, Lise. The lead roles of Jerry Mulligan and Lise Dassin are played by McGee Maddox (National Ballet of Canada) and Sara Esty (Miami City Ballet). Joining them in the principal cast are Etai Benson (Wicked) as Adam Hochberg, Emily Ferranti (Wicked, Dreamgirls)as Milo Davenport, Gayton Scott (Gypsy, The Women) as Madame Baurel, and Nick Spangler (The Book of Mormon, Rogers + Hammerstein’s Cinderella) as Henri Baurel. There have been many times I have not been impressed with the use of pre-existing music as score for a new musical, but in this case it works - and it works well. 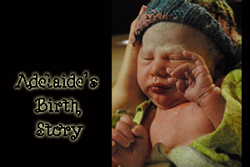 The storyline flowed easily and the music seemed to be made to tell this tale. 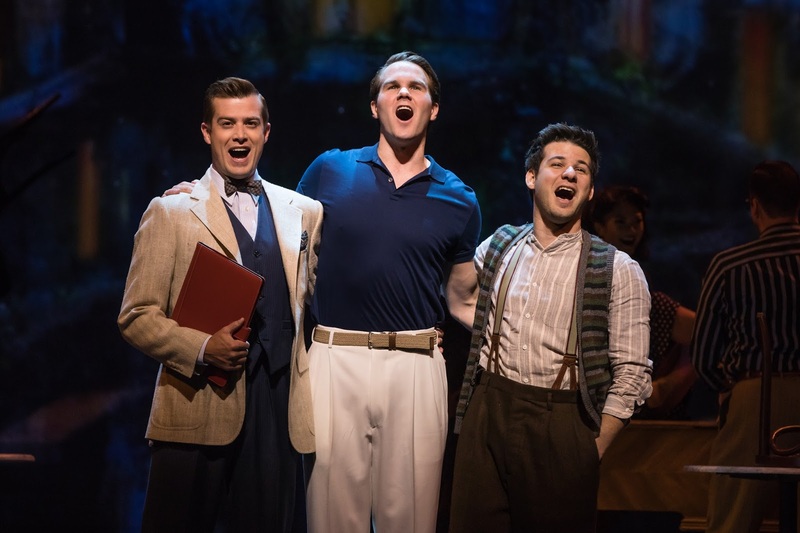 Nick Spangler, McGee Maddox and Etai Benson in An American in Paris. Photo by Matthew Murphy. The visuals provided by the always-moving set design were simply lovely and they contributed to the overall romantic feel of the piece. Several times the dance numbers made me think of the 2016 film La La Land - and I wonder if An American in Paris perhaps inspired that movie to some degree. 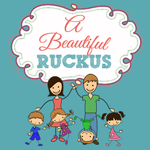 A note for families - there was some mild sexual humor and quite a few instances where the characters cursed onstage. 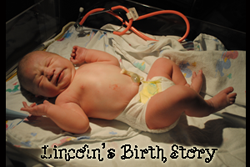 It wasn't overt, but parents of little ones may want to be aware before making the decision to take the whole family. It was definitely appropriate for teens and up and I think it's safe to say could be enjoyed by all ages. I wish I could see it again! 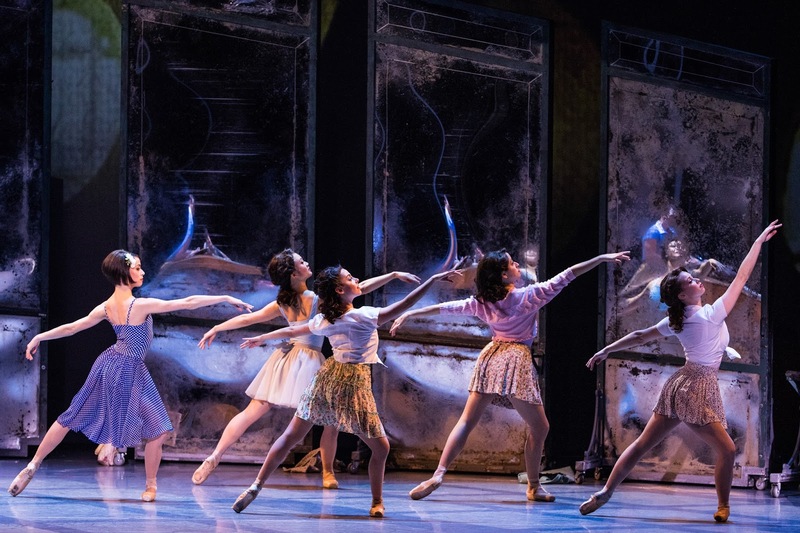 Tickets for An American in Paris at Starlight Theatre are on sale now for $15-$143+. Tickets are available online at Starlight Theatre, by calling 816.363.STAR (7827) or at the Starlight box office at 4600 Starlight Road, Kansas City, MO 64132. Evening performances begin at 8 p.m.